Check out Golden’s Best Bites on your Bike! 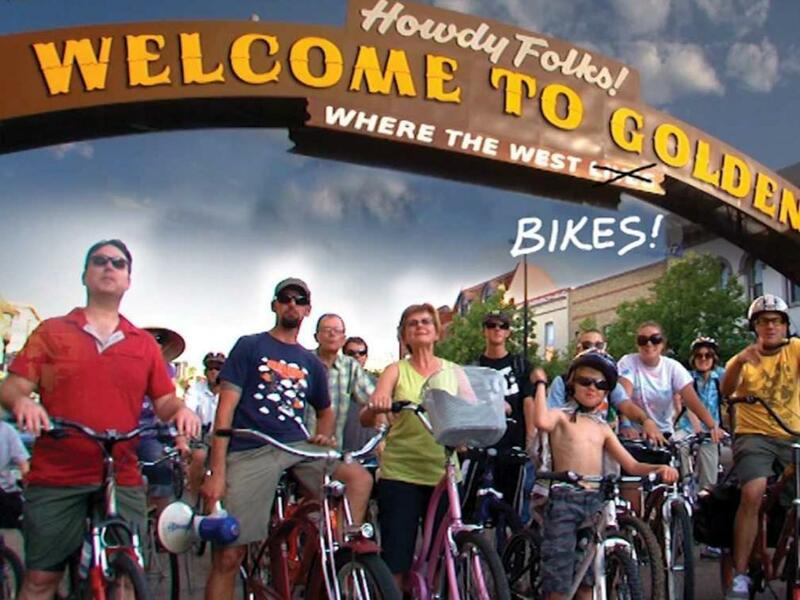 The best way to build up an appetite in Golden is to stop by the Golden Bike Library, check out a FREE bike rental, and then pedal to the restaurant of your choice. Since the Golden Bike Library also provides a bike lock and helmet, you’ll be all set to stop and savor the tastes of Golden! Bike up the hill on Washington Ave. to the Sherpa House for their wonderful splashing fountain, outdoor deck and exotic buffet. Stop at D’Deli, pick up some of the best sandwiches on the Front Range and have a picnic along Clear Creek. Pedal up to Ali Baba for their tasty gyro sandwiches and fries in a setting straight out of Arabian Nights. Grab a mountain bike, cruise around North Table Mountain and take the cutoff to New Terrain Brewery and see what food truck is there. Bike over to Sassafras and pick up some beignets to go. You can stash your beignets in the handy basket conveniently offered on every Golden bike. How about Taco Tuesday at one of Golden’s newest restaurants, Xicamti La Tqqueria Bistro? Point your bike towards 58th and Washington for fantastic Mexican fare. Bike to Bob’s Atomic Burgers and indulge with one of their famous burgers with all the fixins’. Check out the Cheese Ranch and browse the artisanal cheeses and deli specialties. Pick up the perfect picnic spread and pedal to a creek side spot. Pizza and pedaling go together! Bike-friendly at Woody’s Pizza is a Golden classic and a great place to enjoy pizza and a pint. There are so many spots in Golden to enjoy delicious dining. And what a great way to get there! 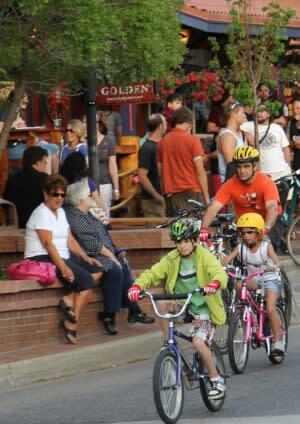 Check out a bike and pedal towards a Golden restaurant today!